Designed by the aerospace engineers at Guardian Avionics, iFDR Panel Mounts are constructed of ABS plastic for long-term durability and resistance to temperature fluctuations. Once installed, each mount features a spring-loaded receiver for the iPad or iPhone that allow it to hold securely in the mount and absorb the vibrations in flight. All three models have port positions for the Apple MFi Certified Lightning cable and 3.5mm audio cable (cables sold separately) to allow inflight power as well as connectivity to external GPS, engine management, and audio products installed in the aircraft. Guardian Avionics is unveiling the iFDR Panel Mounts for iPhone 6, iPad Mini, and iPad Pro (12.9-inch) at the Sun ‘N Fun International Fly-In and Expo in Lakeland, FL from April 5-10 from their display at Booth B-056 and all units will be available to test and purchase. 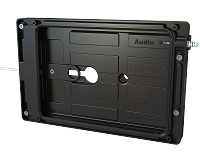 The iFDR Panel Mount for iPhone 6 is available for $99.00; the iFDR Panel Mount for iPad Mini is available for $149.00; and the iFDR Panel Mount for iPad Pro (12.9-inch) is available for $249.00 at the event. Dealer and distributor inquiries are also welcome. Based in Tucson, Arizona and established in 1999, Guardian Avionics / CO Guardian is a leading provider of Carbon Monoxide detectors and connected cockpit solutions for General Aviation ranging from portable units to FAA TSO certified models. Guardian Avionics products are featured as standard safety equipment for new aircraft from OEMs including Cessna Aircraft Company, Cirrus Aircraft, Piper Aircraft, Diamond Aircraft Industries, and Beechcraft Corporation.